Home > Blog > How do accidents affect your car insurance? When you ask for a quote, part of the information we require is your driving record- traffic tickets or accidents. We run the Motor Vehicle Report and CLUE report (tells us any paid claims) to verify. This is part of the normal underwriting process. Interested in what other information is required for a car insurance quote? Read our article How to Get An Ohio Car Insurance Quote That’s Right the First Time. At Fault Accidents count the most. Each insurance company has different “lookback” time periods. Some only go back 3 years. Some may look back 5 years. This lookback will determine if you qualify for insurance with that company and at what rating tier. As you can imagine, insurance companies have different rating levels- the cleanest driving records get the best rates, the not-as-clean get a higher rate. If you have enough driving activity, then you may fall outside of their guidelines and have to go the “high-risk” route. These policies have the highest rates. They are also often with an entirely different company than what you were originally considering, as not every insurance company writes high risk policies. So if you already have car insurance with an insurance company, you may have a bit more flexibility. In fact, some companies offer First Accident Forgiveness that applies to your first at-fault accident. If you have more than one accident, several things could happen. If the accident is not your fault, then usually it’s not a major issue. 1. Surcharge your policy at the next renewal. This surcharge could be on a particular vehicle or an across the board surcharge. 2. Require you to increase deductibles. 3. Offer you a chance to take out a new policy with their non-standard department (if they have one). This would involve cancelling the existing policy and re-writing a brand new policy, with new application and new downpayment. So just because you’ve been insured with Company X for 10 years does not mean you have a license to rack up a bunch of accidents and they will be OK with it (unless you’re already in high risk, but even high risk has its limits). That 3 year lookback (and maybe even 5) still matters and when the accident happens, other accidents or at-fault type claims in that immediate past 3 year or 5 year period are considered with the new accident to determine what will happen in the future. What about Not At Fault Accidents? Believe it or not, not at fault accidents may count against you when applying for new insurance. I’ve seen it happen. I can’t tell you exactly why this would be, but just know that it might matter. It may affect premium, and you may have to provide proof that the accident was NOT your fault (police report or something similar) or else be charged for an At Fault Accident. I don’t agree with this strategy, but you need to be aware of the possibility. If you’re already an existing customer, then it’s more likely than not that a Not At Fault accident will not affect you. Again, check with your insurance agent or company, but I’ve not experienced any major pushback for Not At Fault accidents. It's pretty important to know the impact an accident can have on your car insurance, whether you're shopping for new insurance or are already insured. Our advice? Drive as safely as you possibly can, adjusting for road and weather conditions and giving yourself plenty of time to get to your destination. 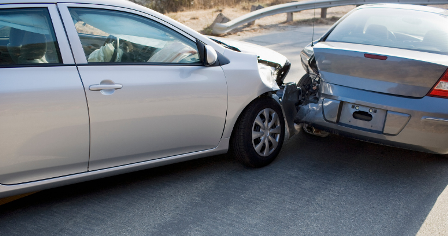 Too many at-fault accidents can cause lots of problems with an insurance company. If you'd like more detailed information about car insurance claims, please download our FREE Guide- "What You Need to Do Before and After Filing an Auto Insurance Claim." It's packed full of helpful information. Have questions about your car insurance? Or just want to see what we can do for you? Call us at (937) 592-4871 or request your quote today. We'd love to help!